In Ireland at the beginning of the 20th century, a Travelling Post Office ran three times a week between Dublin and Queenstown (now Côbh). This train carried mail and passengers from the Transatlantic liners that called at Queenstown. 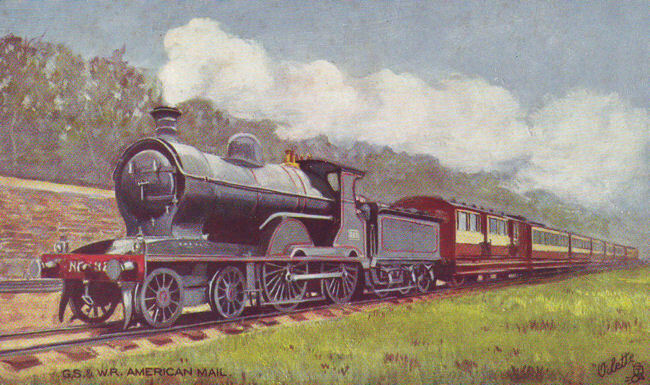 A Raphael Tuck postcard depicts the American Mail train of the Great Southern & Western Railway. The Sorting carriage can be seen behind the Locomotive.